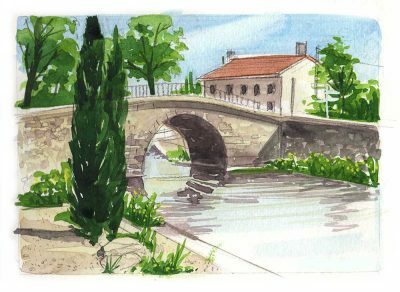 This tutorial is based on a scene at the village of Ventenac-en-Minervois on the Canal du Midi which was constructed between 1666 to 1681. 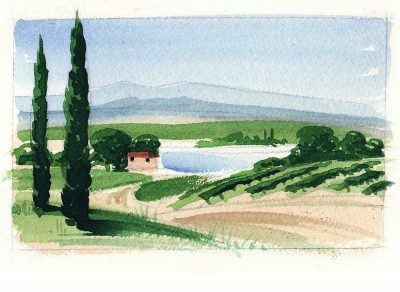 Click through to find the full step by step tutorial showing the reference photograph and all the stages from an initial pencil sketch through to final watercolour painting. 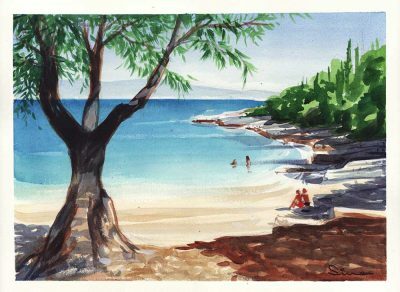 Kefalonia – a beautiful Greek island in the Ionian Sea where Captain Corelli’s Mandolin was filmed…and where I proposed to my wife, Monica. 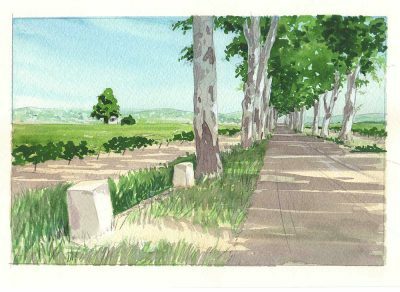 This tutorial is worked up from sketches made in situ and a reference photo or two. 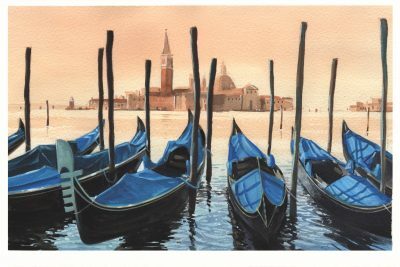 You’ll enjoy using a rich palette of Prussian and Cerulean blues, ochres and deep greens. Margon is a small village just 2 kilometres from Pouzolles. 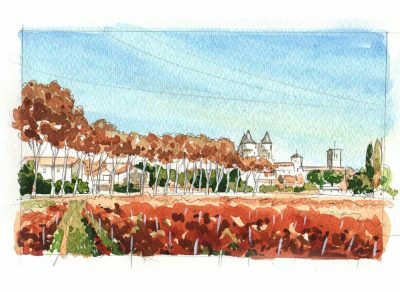 This tutorial is set with a view across the Autumn tinted vines and line of plane trees to the Chateau which dates back to the 12th century.? I loved the light in this early morning scene – the misty trees in the background, those long shadows across the grass, the dark trees and the deep shadows in the foreground. It looks complicated but the tutorial will help to simplify the process. See also the Drawing tutorial on the same scene. 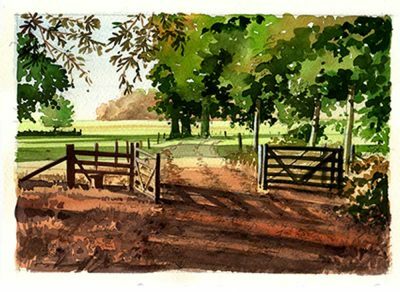 In this instance, I broke the drawing stage down further into the elements of the picture which may help your watercolour version too. 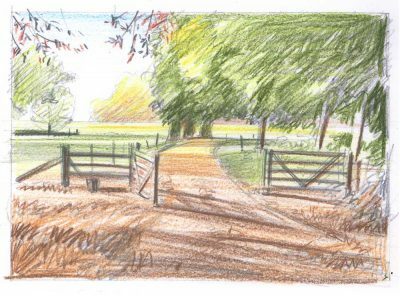 I worked up some tonal values to help visualize the depth of the scene before adding some colour with soft crayons….